This book offers a clear and succinct insight into the relevance of the ancient wisdoms of the East to the hard hitting business world of today. Deepal Sooriyaarachchi shows how self awareness, mindfulness and knowing oneself from inside out, can be central to the success of a businessman in the 21st Century. Using his own experience within corporate life he applies his own history of starting as a clerk and working his way up to Managing Director of a major insurance company and how the ancient teachings have given a central guideline to his work in business relationships. Ability to become aware of what goes on in your mind will give you the ability to be in charge- and to choose your response. This is a skill that can be developed. To develop this skill, learn to bring the attention to the present moment. For that choose some of your routine activities to be done slower than normal when possible. Inwardbound is an intriguing value proposition for jaded western skeptics who work too much. Deepal argues that self awareness or mindfulness is often missing and when it’s missing, life and work are less fulfilling and less effective. I’ve seen Deepal use these concepts with line executives and witnessed the shift in awareness that results in clearer thinking and better choices. Deepal brings a unique combination of senior executive and eastern mystic with a strong sense of humor to his writing and to his consulting. Read this book. It’s fun and it’s good for you. To have credibility, ideally, a preacher should also be a practitioner. Deepal is indeed someone who has tested the techniques he is espousing – he walks the talk! With several examples that are easy to understand and experience, he reinforces his message on the need to be mindful. He also demonstrates the power of the “Why” over “What” – when dealing with stressful situations. Even if you grasp just 25% of his message, you will see an enormous change in your life. As a specialist in the decision-making arena, I found his insights extremely valuable. Leadership Coach & Coaching Supervisor, USA. (Daniel Goleman)and a critical capability for today’s successful executive. as a “tool”. Deepal defines mindfulness and offers simple exercises to develop this capability, as well as examples of how to apply it using “real work” gained from his many years as a senior executive. He shares the power of this in his own personal and executive life. This is a short, practical guide for any executive who wants to travel “inward” from someone who has lived the daily pressures of executive life. Our impact in life may have as much to do with our “being” as with our “doing”. Deepal embarks on a journey we often take on the reverse! Our typical thinking patterns are outward bound. They are centred around that which is outside of us. Our focus is on the outside. 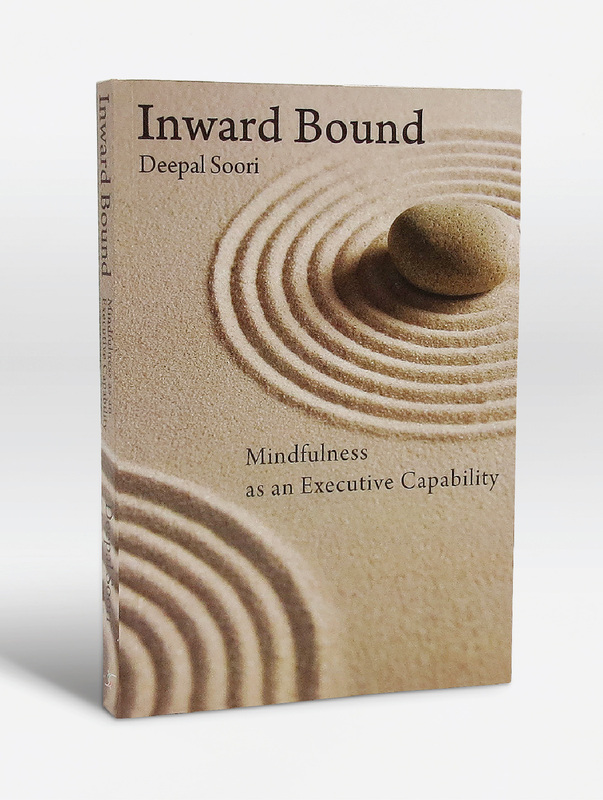 Deeepal’s book, Inwardbound is essentially about a journey we ought to take on the inside. This journey of self-discovery of being rather than having and doing is well narrated by the author with a sense of clarity that is possible from one who has actually taken the journey within. Read it. Reflect on it. And you will be richer by the discovery of one you ought to know very well inside out-yourself.